I can't think of an exact event or date that contributed to EJ's love for ballet but a conglomeration of things. 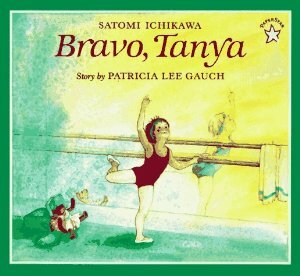 We started reading "Bravo Tanya" a delightful story about a girl who loves to dance and starts going to a ballet school where she cant hear the music she normally hears in her head. 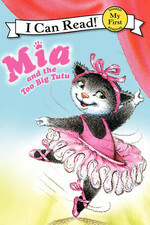 Then we read the Mia series about a kitten at dance school. When EJ does get to watch television her favorite show is Angelina Ballerina (the new version, the characters are much sweeter). 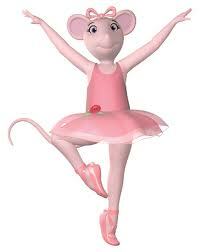 Most of the show takes place at a dance school where Angelina learns all types of dances. EJ pretends to be Angelina and I'm Alice. She choreographs her own dances and puts on a show for us. When I found out that our church's school had an introduction to ballet class I couldn't wait to see if EJ could attend. Not only could she attend but she would also be a part of their upcoming recital in June! EJ was beyond ecstatic!